Home / Behind Enemy Lines / Gene Berardelli / hillary clinton / ICYMI / Jacob Bard / Joe Biden / Matisyahu / Russell Gallo / Veterans / Yak Attack / ICYMI: Crazy Uncle's Joe's Back! 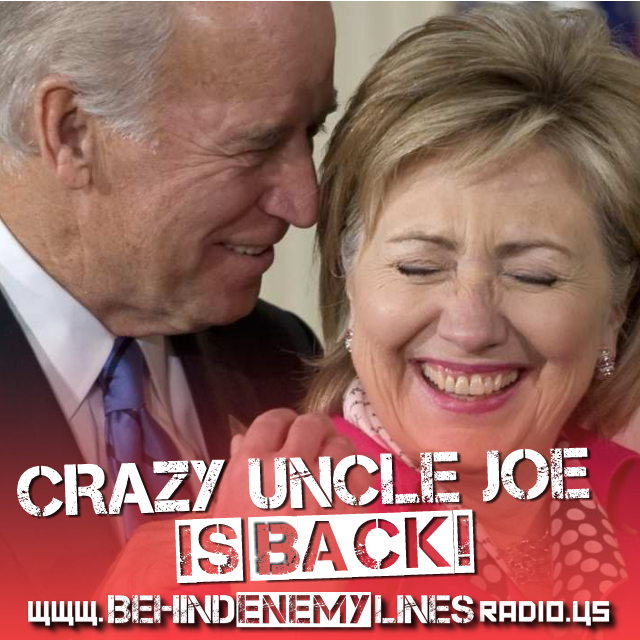 ICYMI: Crazy Uncle's Joe's Back! We all have that crazy relative that is fun and cringeworthy all at the same time, right? Well for the Democrats, no one personifies fun (for us) and cringeworthy (for them) than "Crazy Uncle" Joe Biden. Relive some of his... um... finer moments during the show. But this show also runs the gamut. Gene Berardelli and Russell Gallo talk about the juggernaut that is Donald Trump, and Russ goes off on a rant about how women actually are different than man! Oh, and you're all about to be Yak Attacked! Our version of "Crazy Uncle Joe" decides the show on a little joy ride to talk about.... (formerly) Orthodox Reggae Artist Matisyahu??? A jam packed show - plus WHO YA GOT for Buffoon of the Week! Vote NOW!